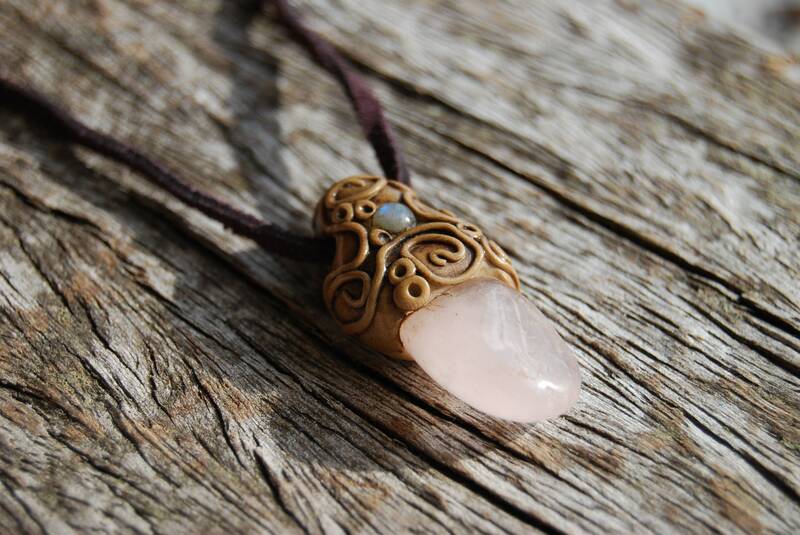 This is a Rose Quartz gemstone with a little Labradorite in an handsculpted durable clay setting that I made myself. 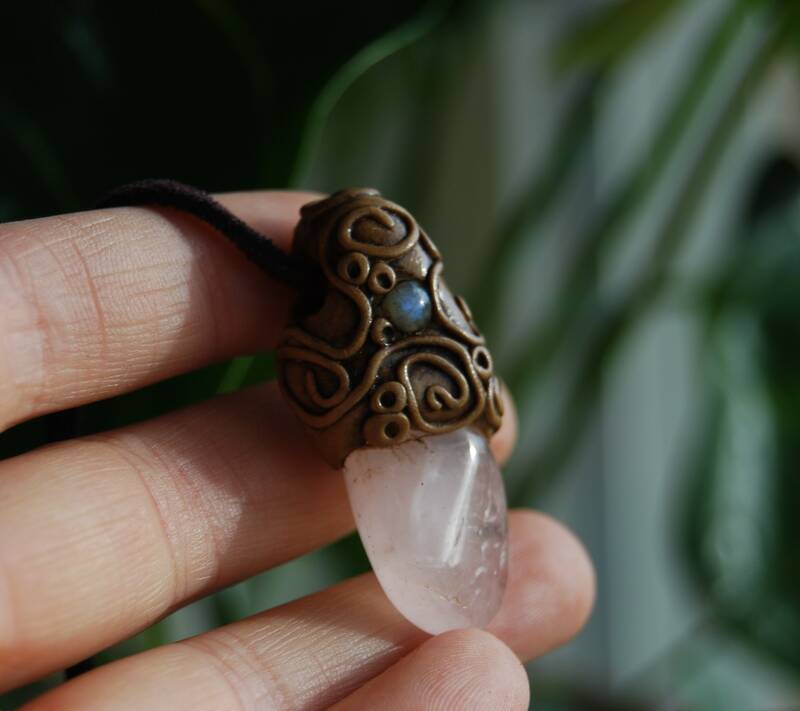 Empaths and highly sensitive people can especially benefit from Labradorite which is said to help control the emotions that they tend to take on unconsciously from others. 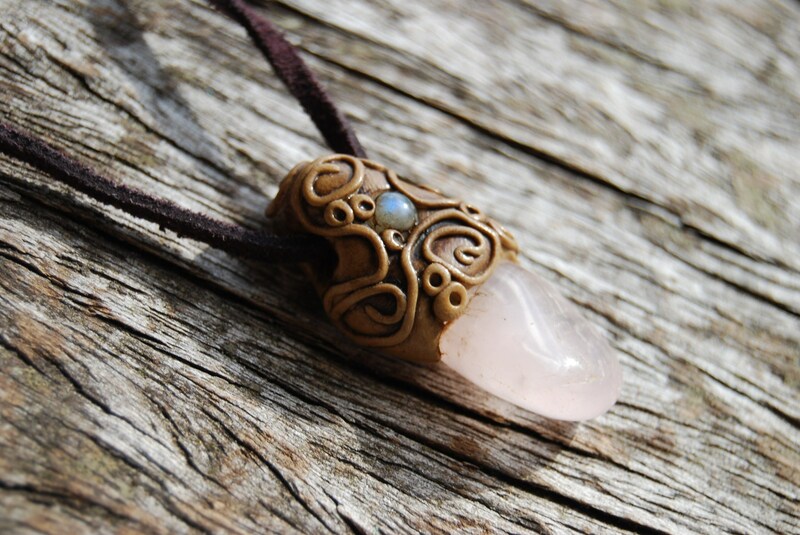 Labradorite is a stone of transformation. This is a stone that will help you become the person that you are destined to be. 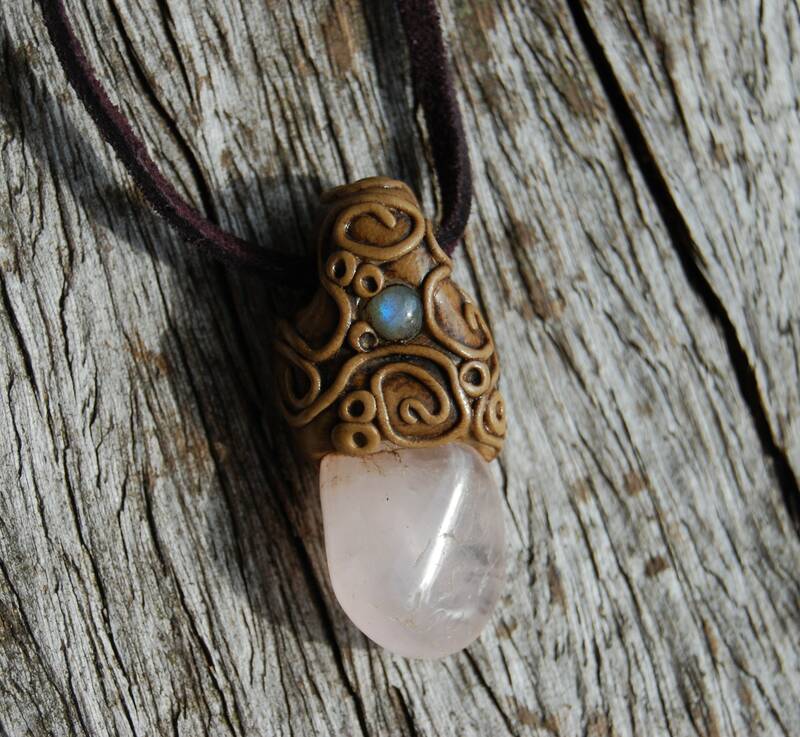 It will clear your aura and seal it to prevent the good energy from escaping. 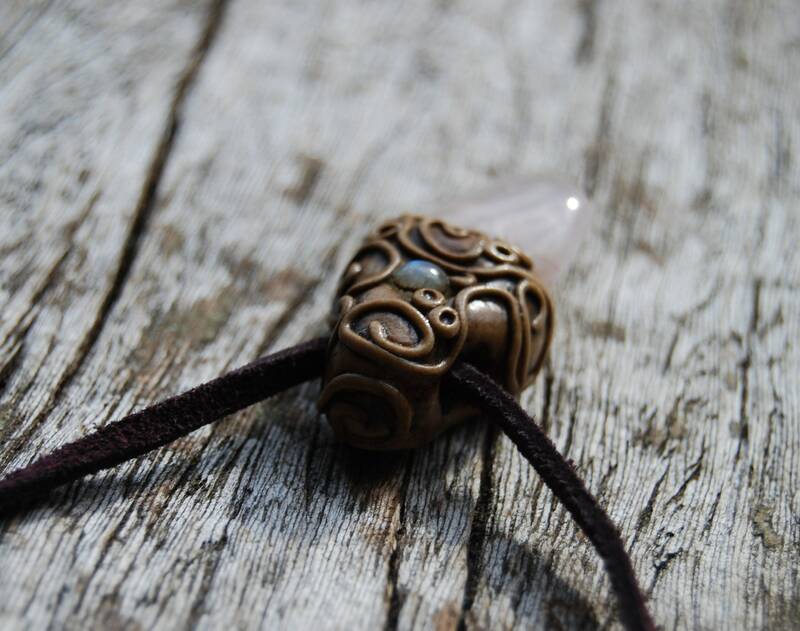 The labradorite stone’s vibrations also gives you protection against negativity. Size is approx. 4.3 cm / 1.69 inch from top to bottom.